It’s been cooler than usual here in Florida so I’ve been on something of a roasting kick. I’ve also been on a bit of a kale kick which you might remember from this weirdly awesome soup. So Chicken Roasted with Potatoes & Kale totally fills the bill on both accounts. If you’re not a kale eater yet, I have to ask that you try this recipe anyway. One of the great things about kale, like many of the other leafy greens that are SOOOO good for you, is that it absorbs the flavors of the things that you cook with it. Unless you’re eating just plain, sauteed kale, you’re probably not going to find too many dishes that just scream “KALE” flavor. In this dish, it wilts like spinach but because it has a much hardier texture, it doesn’t burn or fall apart in roasting. 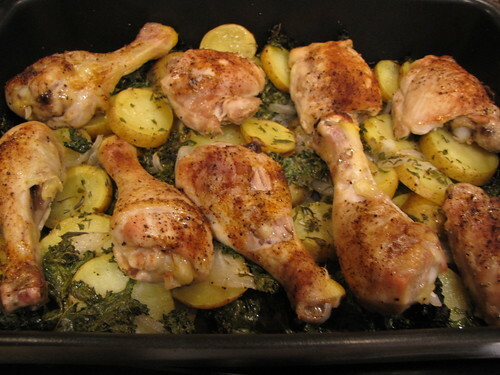 The potatoes and kale are happily sitting there in the bottom of the pain, getting tender and roasty, and soaking up all the flavor and juice from the chicken as it cooks. Trust me, non-kale eaters, this is good stuff. PLUS, if you eat kale, you can feel healthy and virtuous thereby earning something like a chocolate cupcake for dessert. I got so evangelical about the kale that I totally forgot to mention that this is an incredibly simple and easy dish to make. 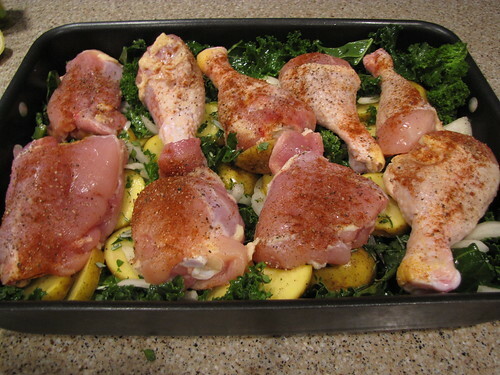 No browning or fussing around with the chicken – right into the oven it goes. 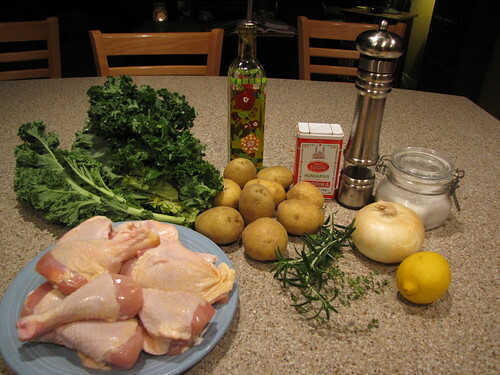 Chicken Dark Meat – thighs and legs, Kale, Yukon Gold Potatoes, Onion, Rosemary, Thyme, Lemon, Olive Oil, Paprika, Salt & Pepper. Preheat the oven to 450 degrees. Hot for roasting. Kale has a long, woody stem that is not very good to eat. 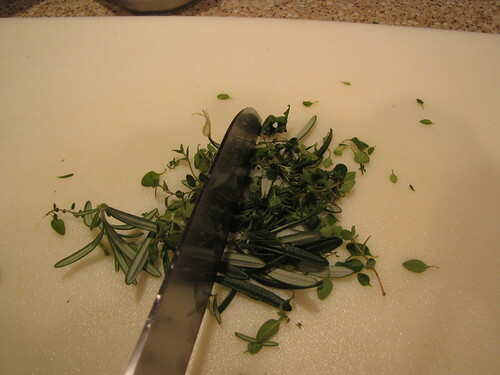 Run a knife up and down each side and pull the stem away from the dark green leafy parts. Cut the leafy parts into big pieces. 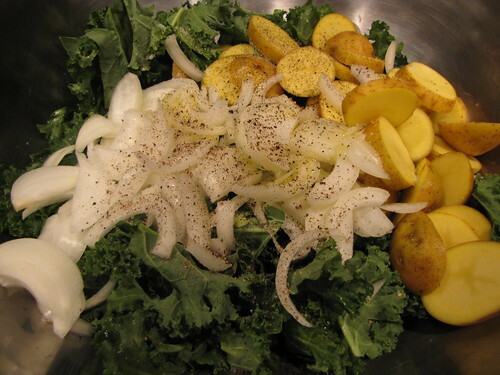 I had a humongous bunch of kale so I used about half….maybe 1 – 1 1/2 pounds. If you have a pan big enough, you can use more because it will shrink down like crazy. 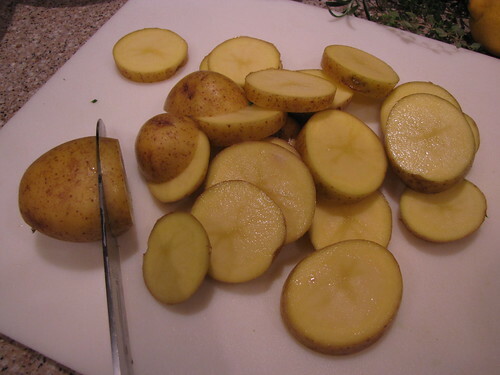 No need to peel the potatoes. Just wash and slice them about 1/4 inch thick. 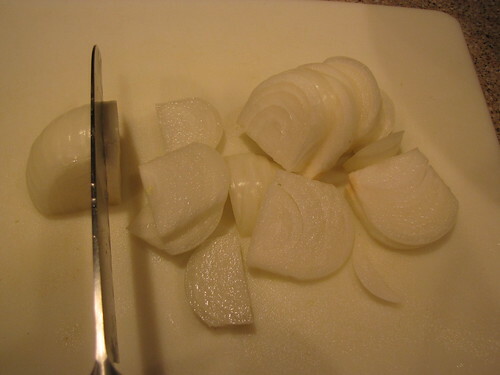 Cut a large onion in half and then slice across the top of the onion. You can separate the slices when they go into the pan. 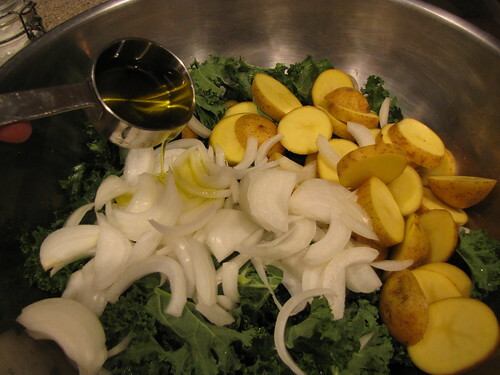 Put the kale, potatoes, and onion in a large bowl with room to toss them around. Add 1/4 cup of olive oil. If you have fresh herbs, chop 2 Tablespoons each of fresh rosemary and thyme. 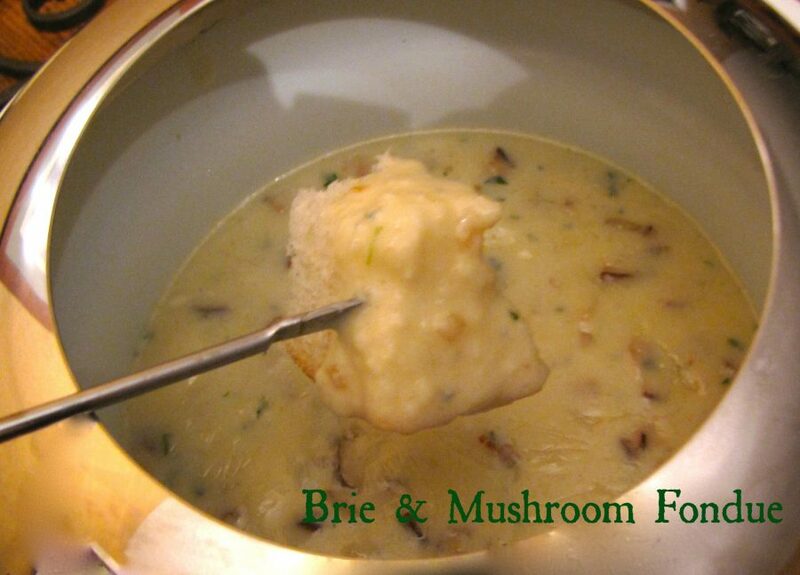 If you only have dried, use only 1 teaspoon of rosemary and 1/2 teaspoon of thyme. Add the chopped herbs to the vegetables and season with salt & pepper. Toss all the veggies together with your clean hands until they are all well coated in oil. 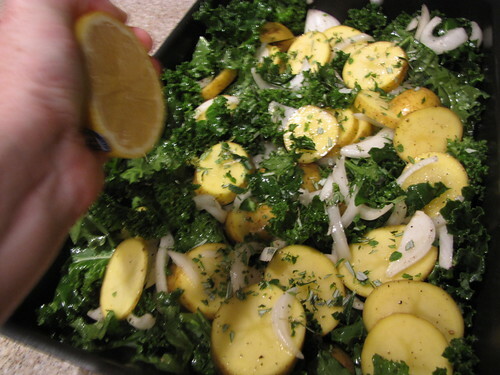 Place the vegetables in the bottom of a roasting pan or large baking dish. Squeeze the juice from half a lemon over the top of the vegetables. Just in time for the chicken, Gus arrives on the scene. Depending on the size of your pan and the number of people you want to feed, you can adjust the amount of vegetables and chicken pieces. 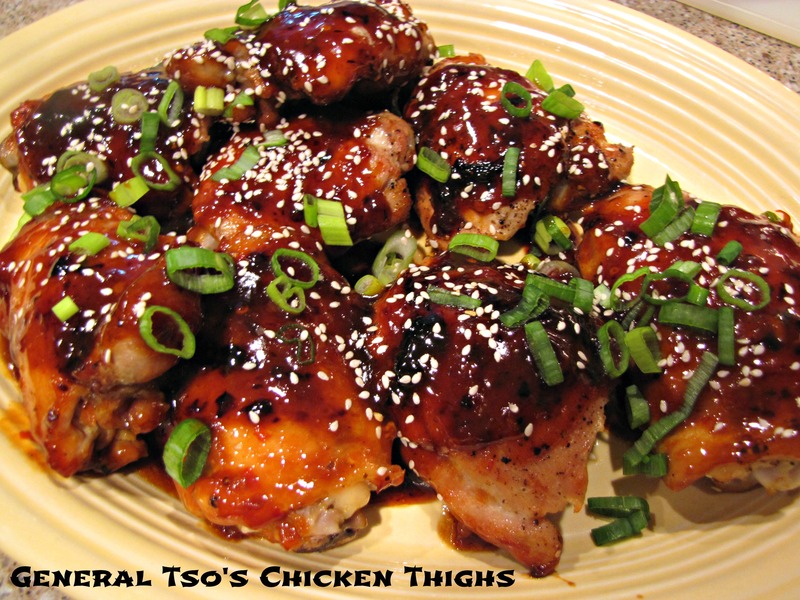 Between 8 and 10 pieces – a combination of legs and thighs should do the trick. I had 9 because that’s what came in the package from the store. The leftovers are great so don’t worry if you have more chicken than you will eat in one sitting. 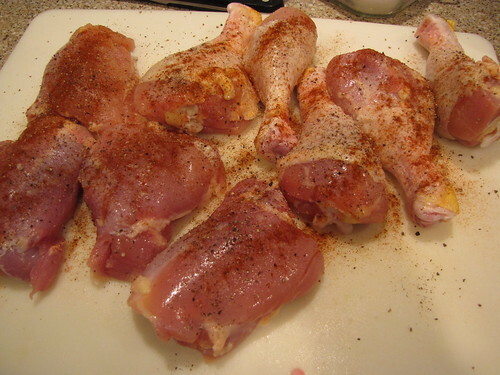 I recommend skinning the chicken thighs to avoid having too much grease in the pan. You can leave the skin on the legs. Season the chicken with salt, pepper, and paprika. Nestle the chicken pieces on top of the vegetables. Cover the pan with foil and roast in the top half of the oven (too low and it will burn the veggies) at 450 degrees for 20 minutes. 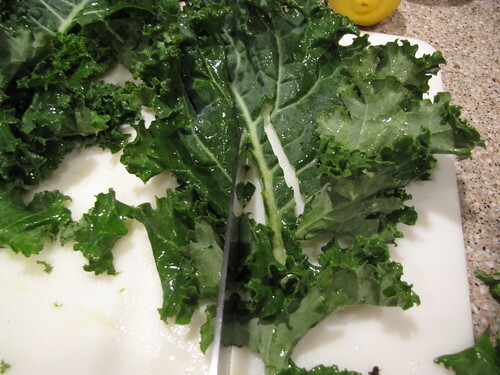 After 20 minutes, remove the foil – notice how the kale has already wilted considerably – and continue to cook, uncovered for 30 more minutes. 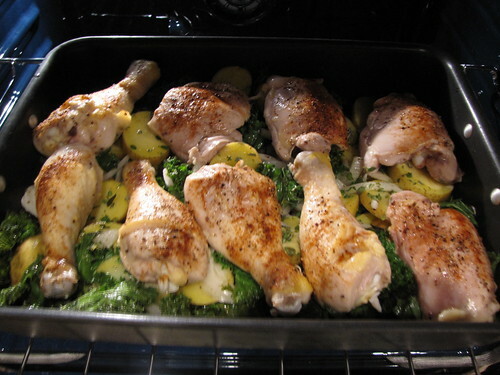 The cooked chicken is golden brown on the top and incredibly juicy. 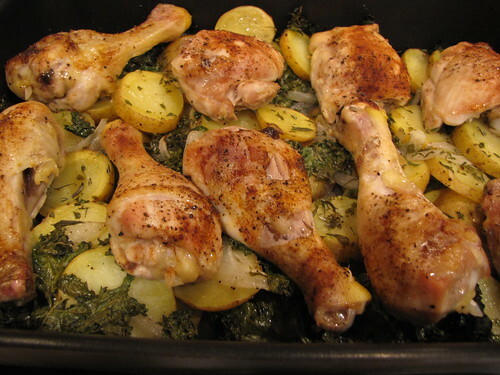 The potatoes are tender and have absorbed all of the delicious pan juices. I love this dish. 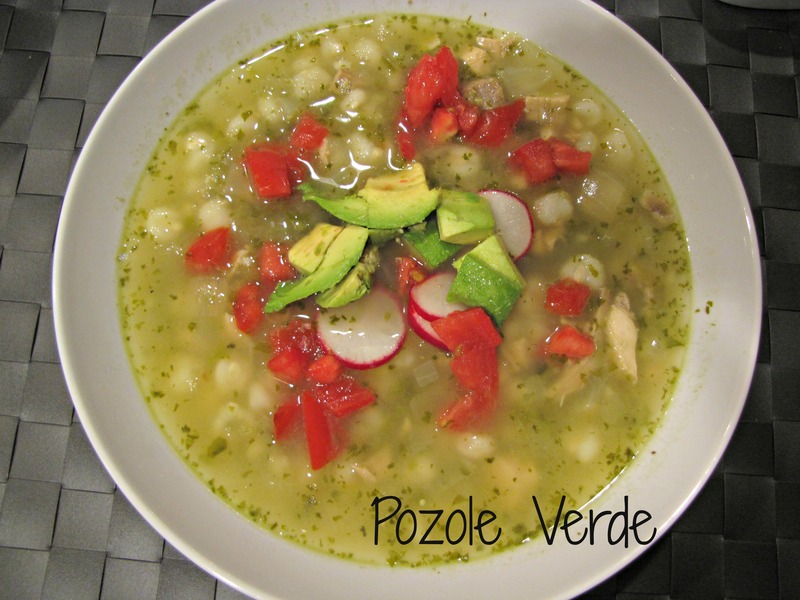 It couldn’t be easier to make and the flavors are incredibly simple but delicious. This is good, real food. Don’t forget your cupcake. You’ve earned it! 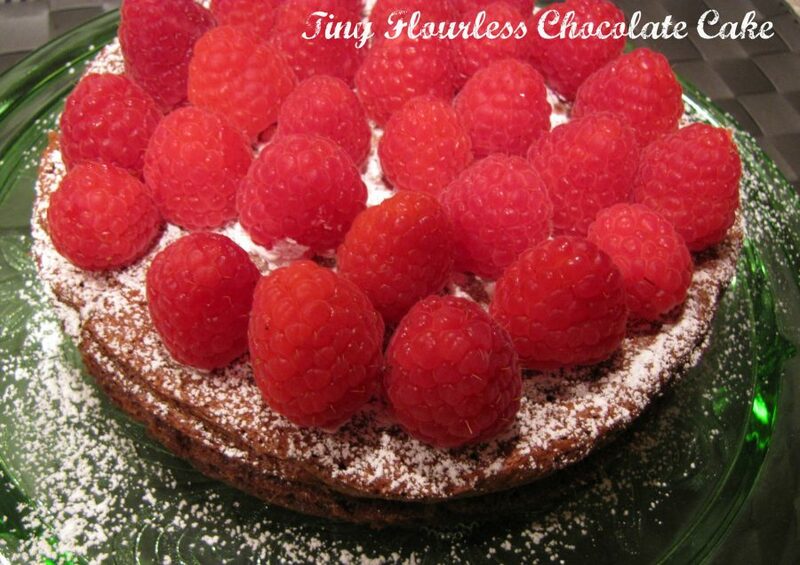 Am making this Sunday 1/22! 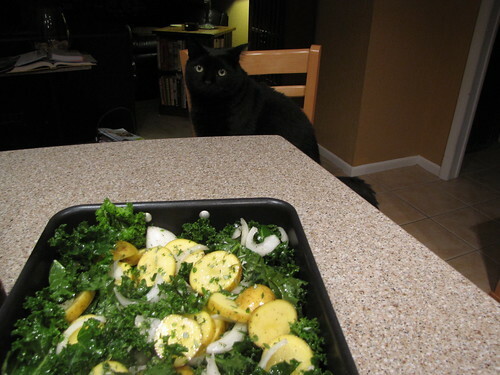 Have made several stews w/kale before and they always turn out well. Excellent! I’m a new convert to kale and now I love it. It’s so good for you and so versatile.